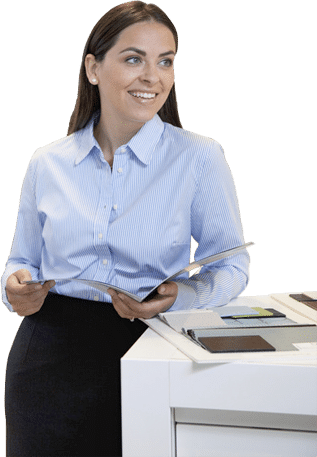 Aside from leasing, another option is to rent a copier; however, what is the difference between leasing and renting a copier? In leasing, the customer agrees to pay a monthly fee over a specified time period. During that time, the client saves capital that would have otherwise been wrapped up in purchasing a brand new copier. They can then use the money for other purposes. With a lease, you do not pay for the machine upfront, and you can pick a time frame between 12 to 64 months. You can manage your funding while it remains tax deductible. When the lease ends, the customer can buy the machine at the Fair Market Value, which is set by the leasing company. A lease ensures that you do not use up your capital so that you can invest in more beneficial projects. While rentals are similar to leases, they have a few differences. For example, rentals are more flexible. The biggest difference you find is the time frame. A rental occurs on a month-to-month basis, whereas a lease locks you into a lengthier time period. The company renting can downgrade or upgrade their equipment if they need to, and they can cancel the agreement as long as they give the renter a notice of 30 days ahead of time. For both leasing and rental, the contract can cover parts and supplies, but it depends on the contract. However, should you rent or lease equipment? If you are confident that you can pay your monthly lease each month, then leasing will help you to conserve capital. Renting, on the other hand, makes sense if you only need a copier for a short period of time. Companies that work on a project basis often rent their copiers.